Lovely pics! I normally shoot with a Canon XSi, but have been itching to try film. 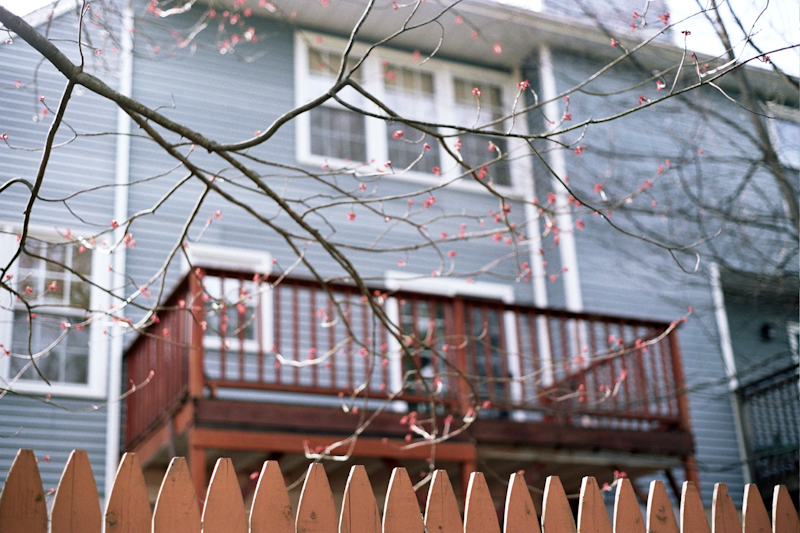 I just got a Canon film SLR last weekend and started to shoot with it. I cannot wait to see the pics! But I'm worried about the development and $$$. Sigh. How do you like the 160NC? I heard good things about the 400NC but I haven't bought it yet. Film does get expensive. 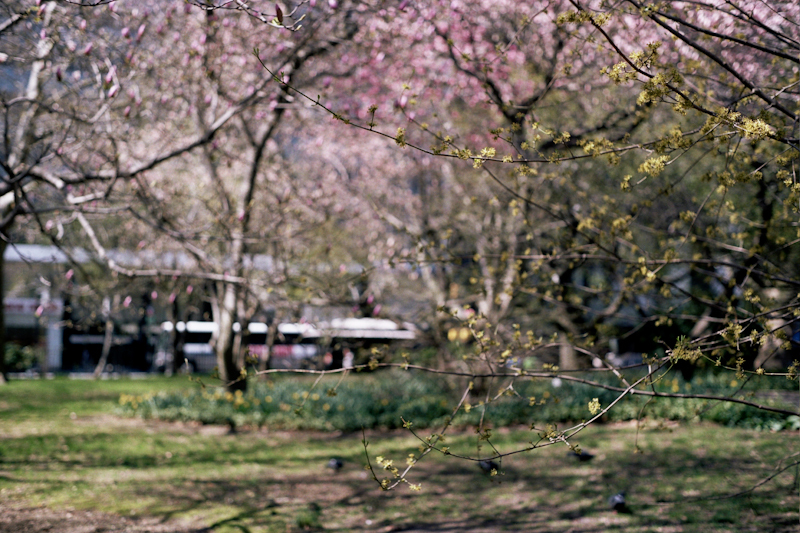 If you like Portra, you might be interested in Kodak Ektar. 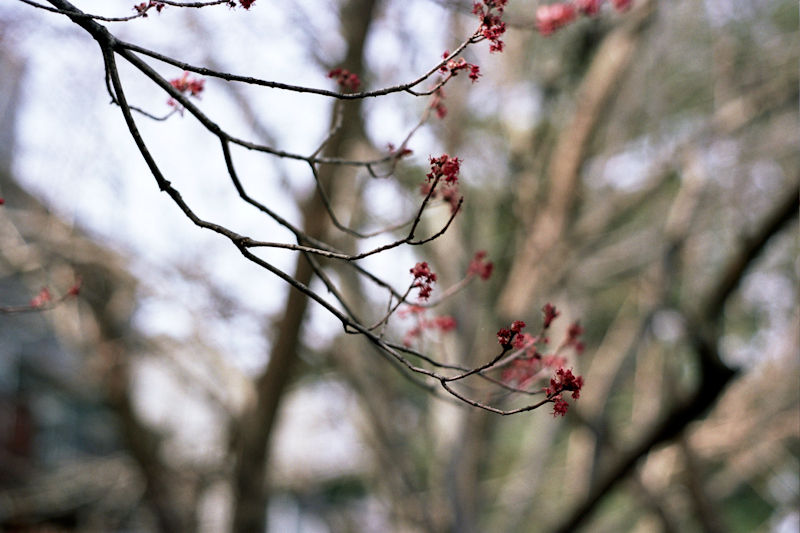 It's a 100 iso film that produces vibrant, beautiful colors. A way to keep the cost down is to ask the lab not to make prints. Just tell them to develop and scan only, no prints. It could shave off up to $5. Thanks for the film recommendation! I actually didn't even get prints, and it was STILL that much. Ridiculous, no? I also recommend keeping an exposure log... Sometimes it's hard to remember to write the info down but it comes in so handy once you get your negs back! Comparing image quality, for the results you can get with, say, an early 1970s Olympus OM2n or Nikon FT2 and a fast 50mm lens, you basically need the most expensive digital SLRs available. Aside from the price and the long process of film processing, etc., the only difference - and it can mean a lot depending on what you shoot - would be high ISO performance. I shot a Nikon D3s in the dark last night at 124,000 ISO and it produced usable monochrome images. But the 1970s SLR and prime lens could be as little as 10 bucks, while the DSLR and good glass will push $10K, and the body will not hold value too long. So analog can actually be inexpensive if you are willing to work with it and patient enough. Film is perfectly suited to most of the images you produce with your style. That may be true. Thanks for your thoughts on this topic. I really would like to shoot more film but I guess I have been lazy and digital is just so easy. I completely agree. I ran into this issue after I bought my Hasselblad and was a bit scared after getting 3-4 rolls developed at over $70. I'm currently living in Park Slope and am lucky to have a place that develops right down the street. I also bought myself a Canon 9000F scanner and am currently experimenting with this entire process. I don't know if the place I'm getting my scans developed is doing a good job and I also don't know if my scanner is either. I guess I'll find out what you ended up doing as I read on. If not, I'd love to know.